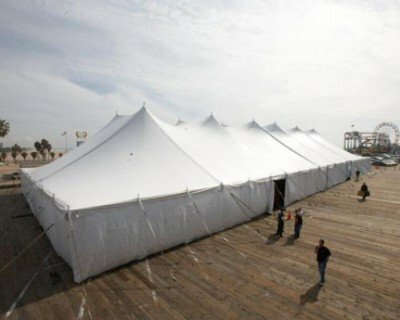 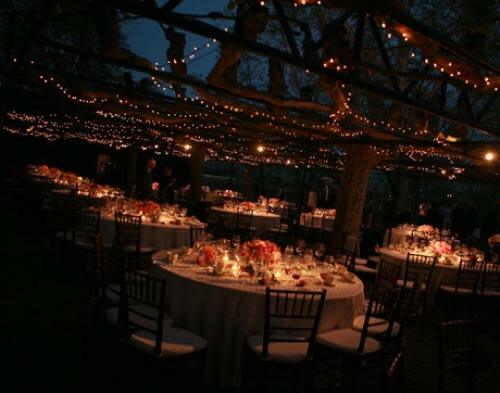 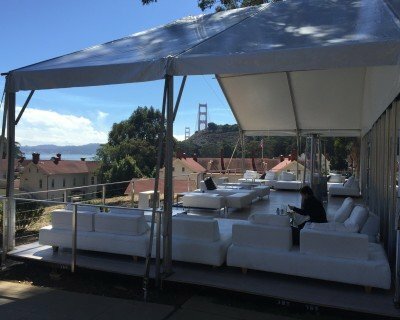 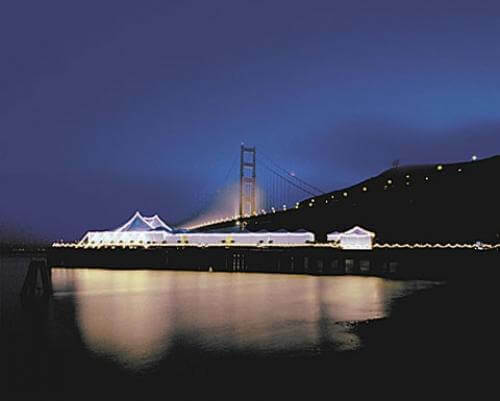 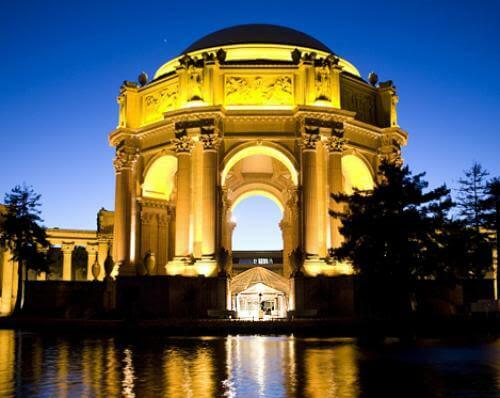 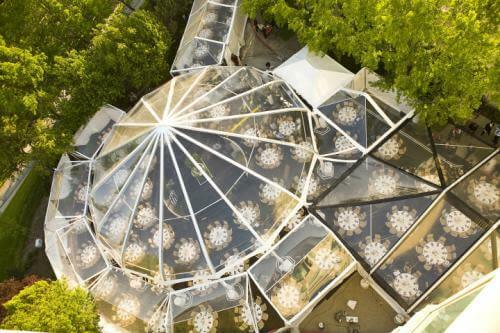 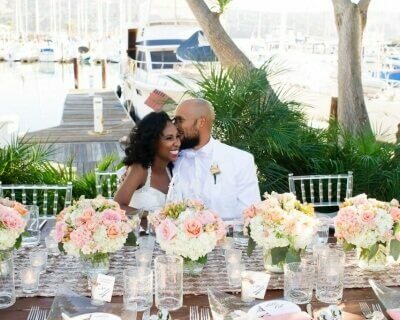 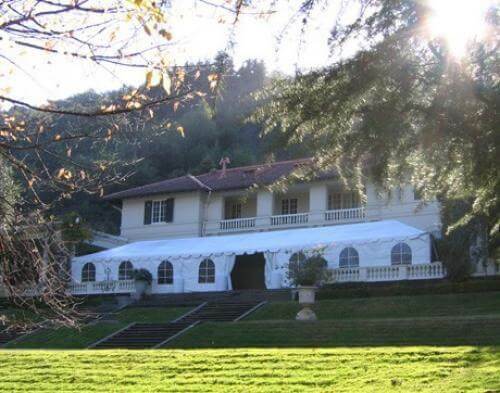 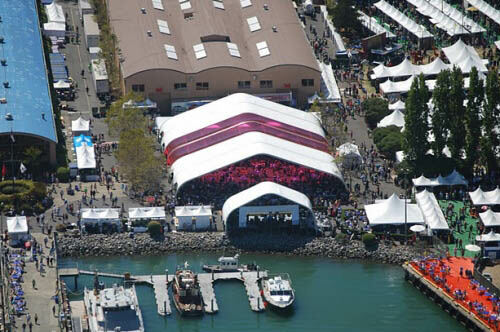 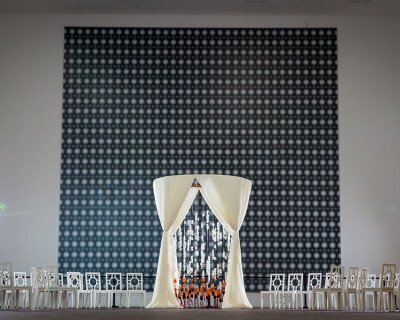 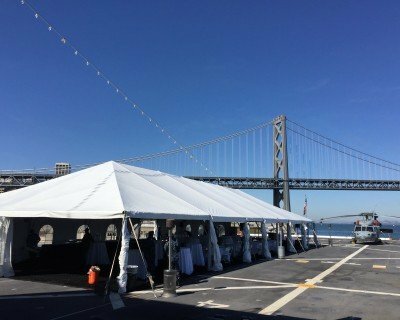 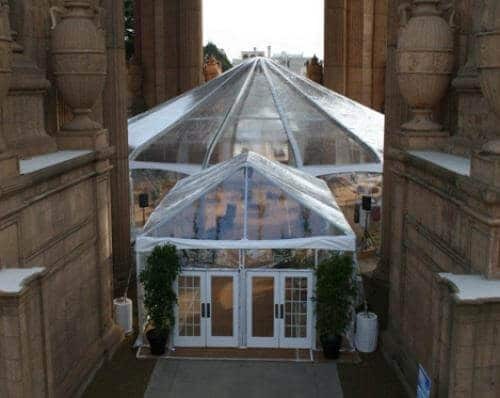 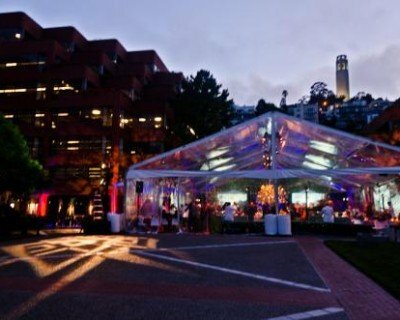 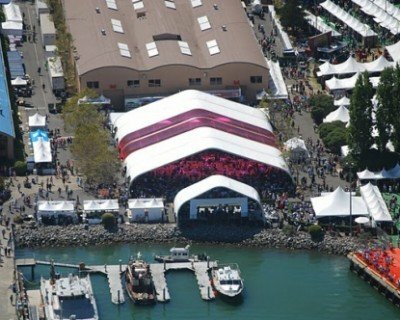 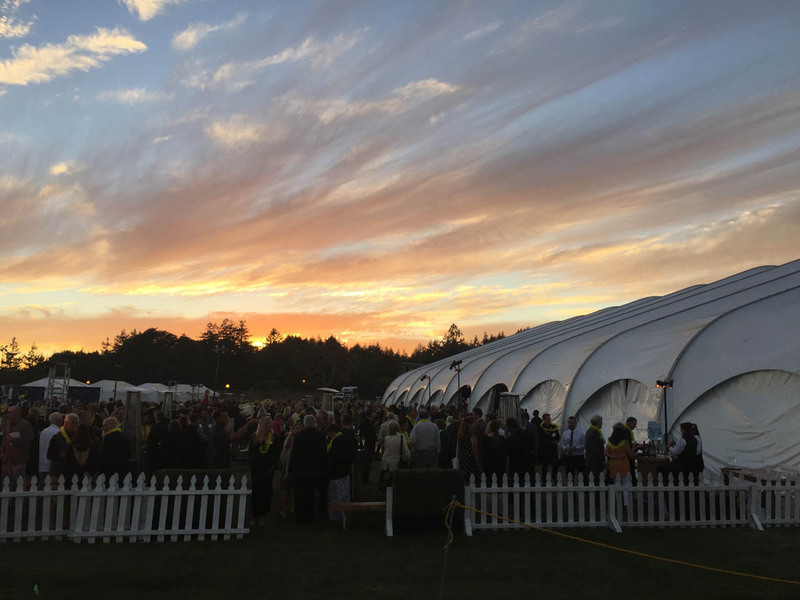 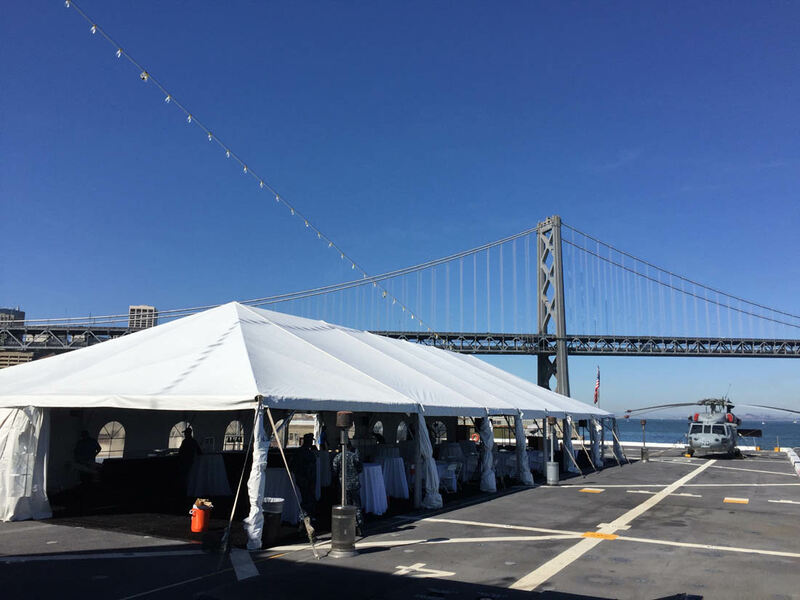 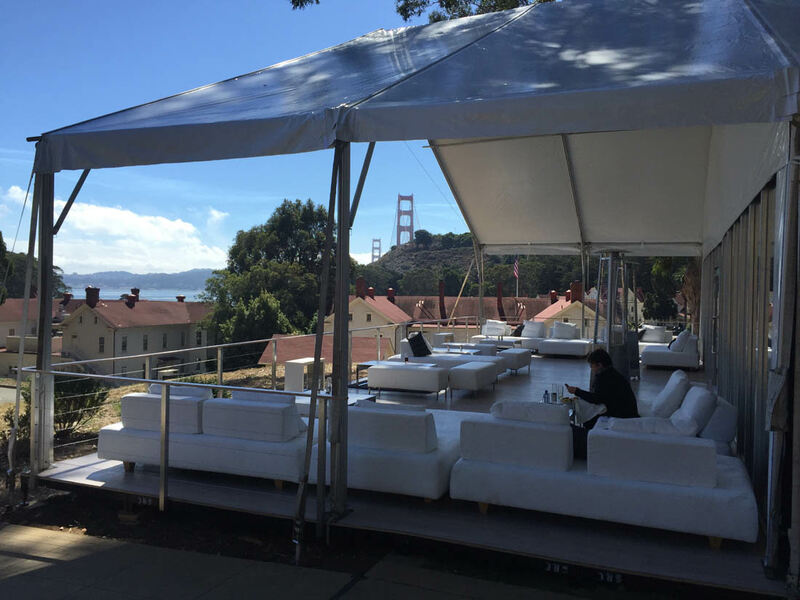 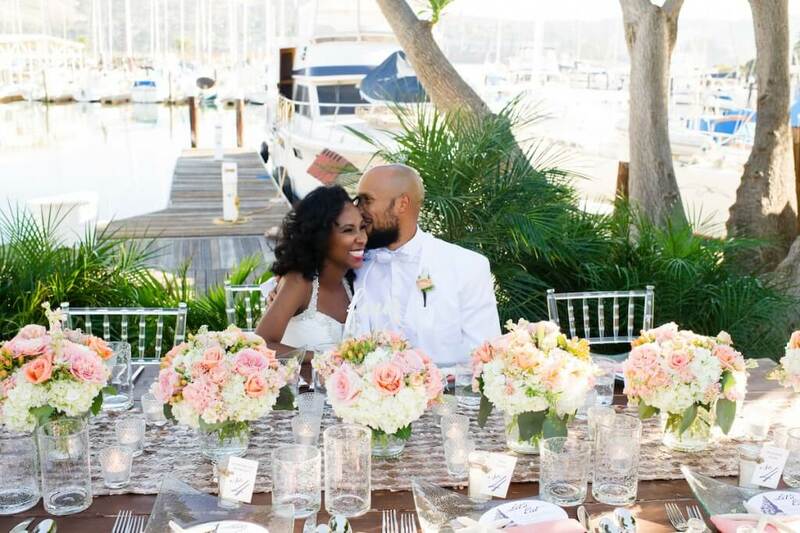 Over 400 Bay Area guests gathered together for ‘An Affair to Remember’ as they dined together under a 120×120 Structure tent at the Sausalito Pier. 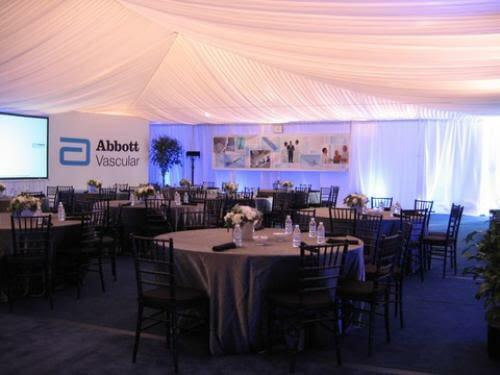 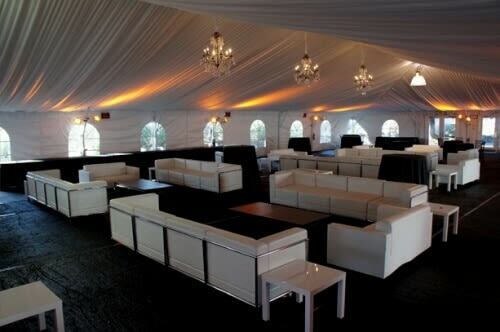 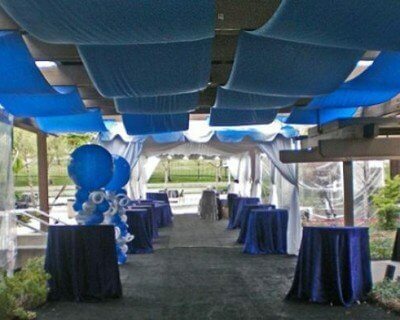 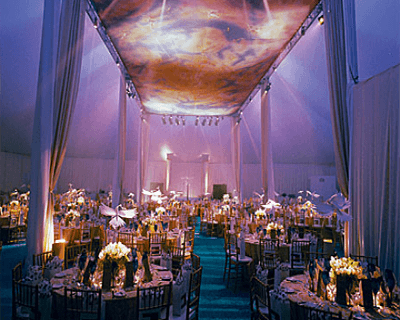 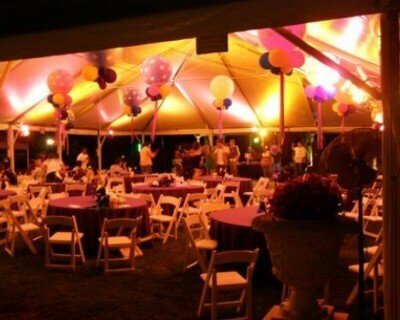 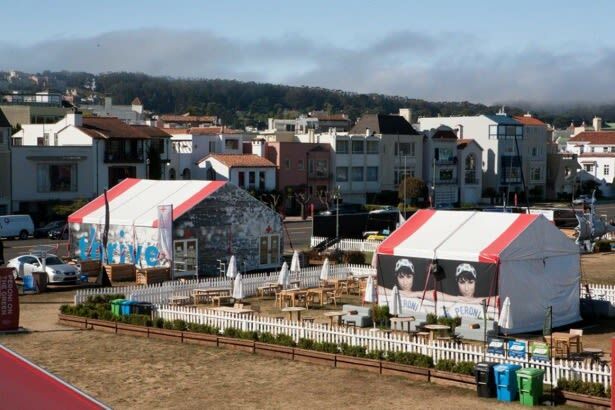 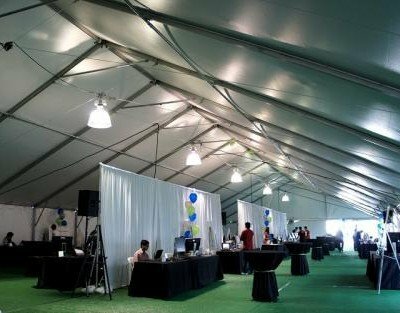 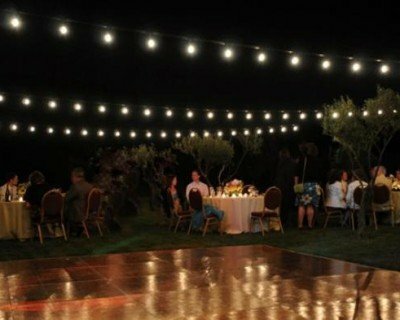 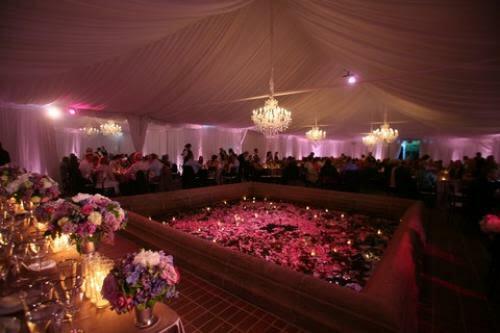 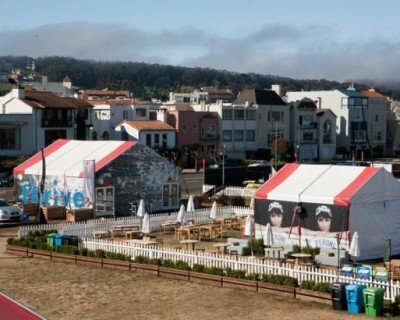 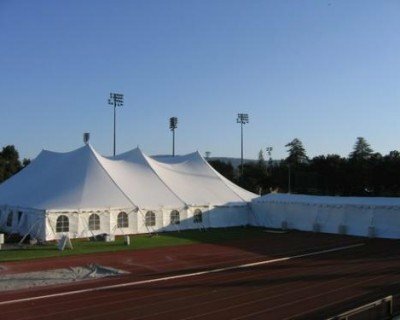 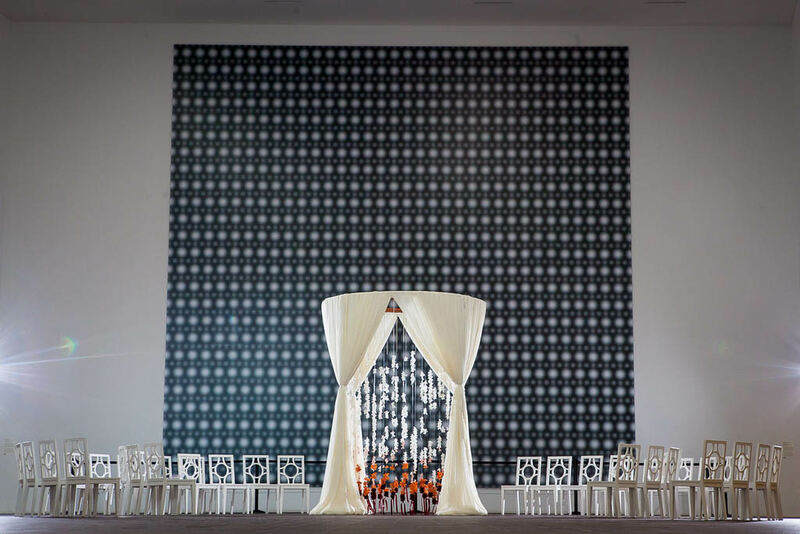 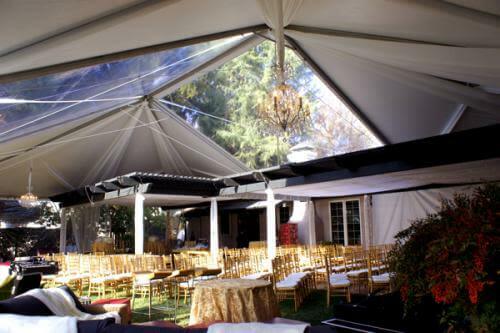 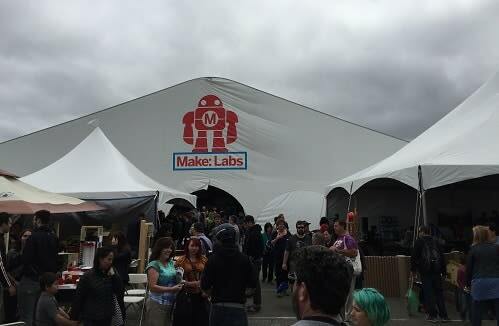 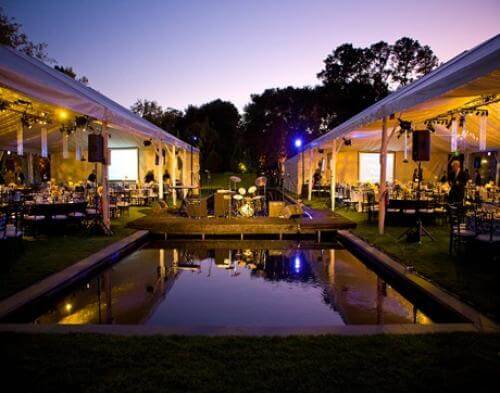 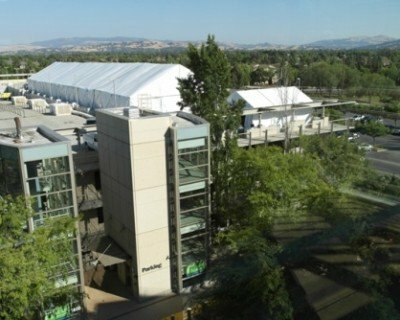 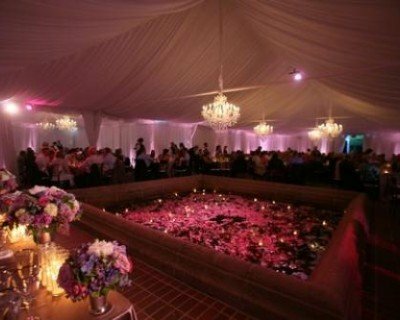 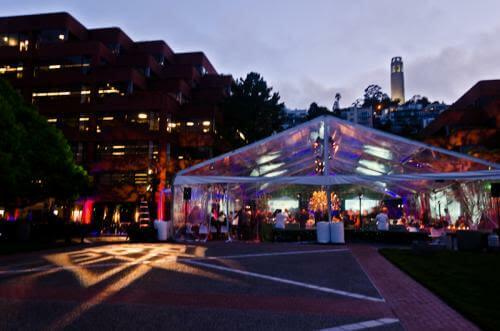 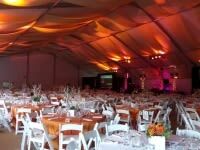 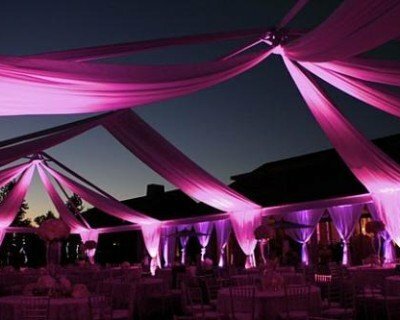 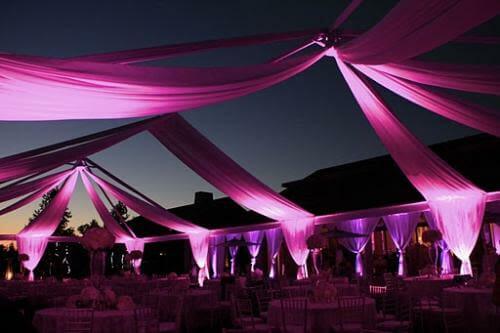 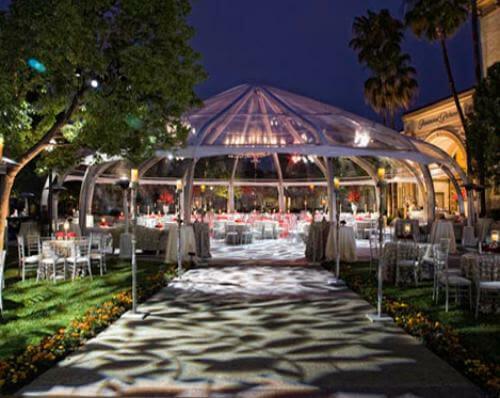 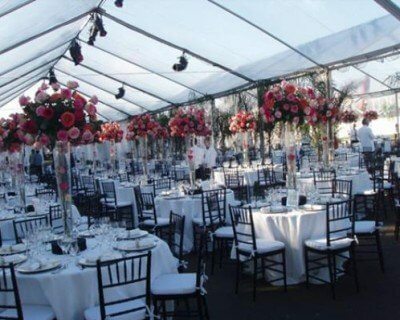 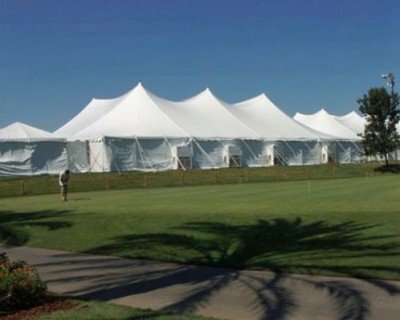 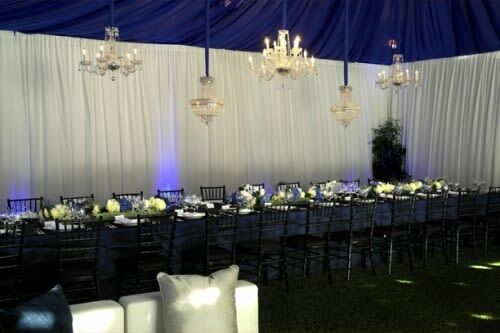 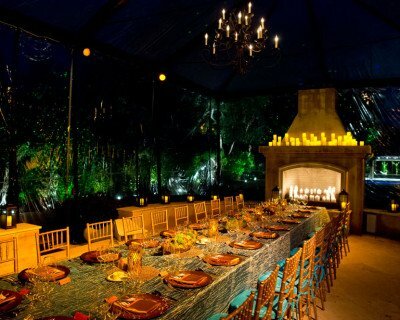 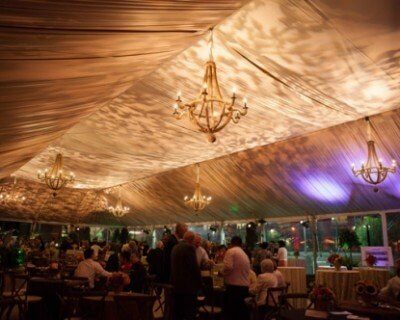 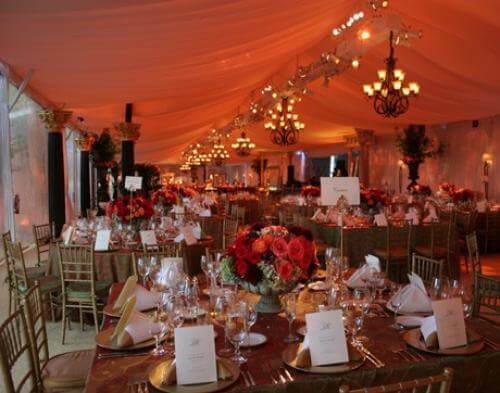 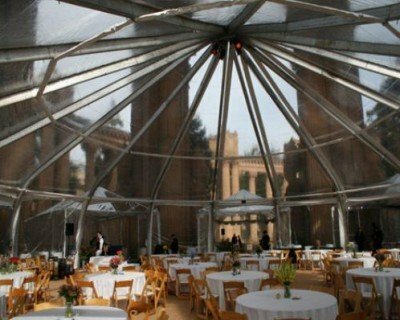 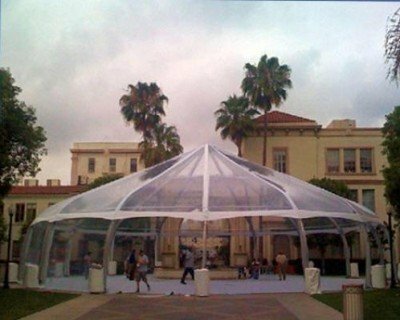 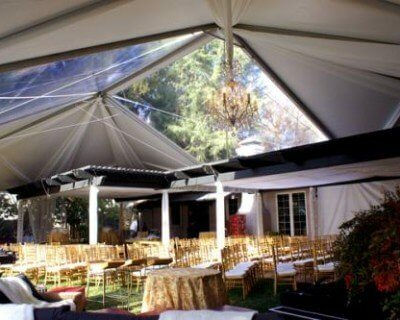 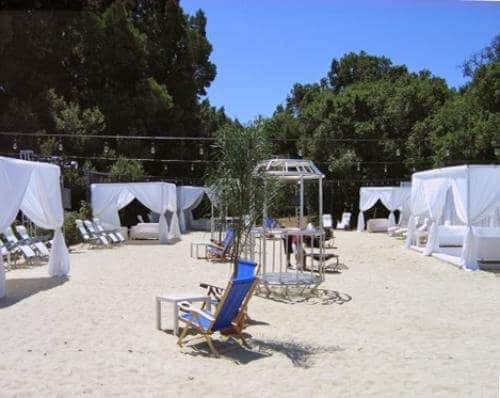 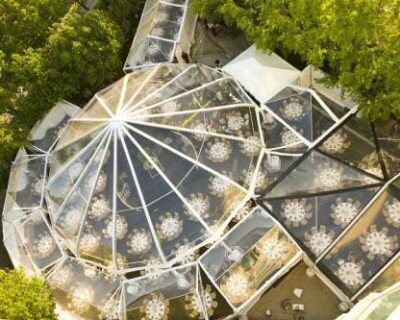 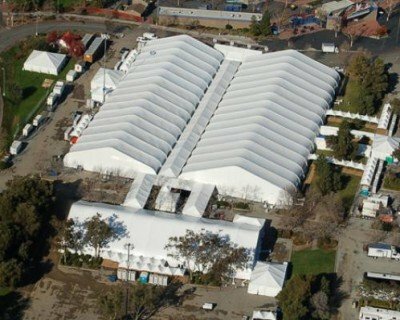 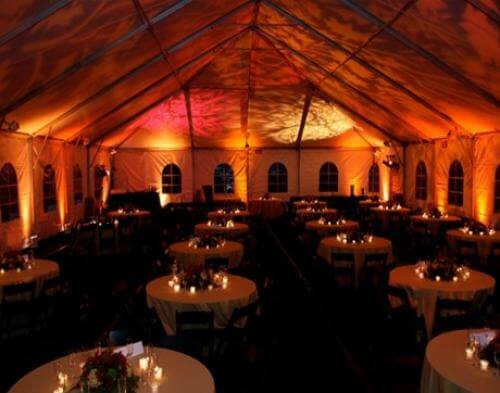 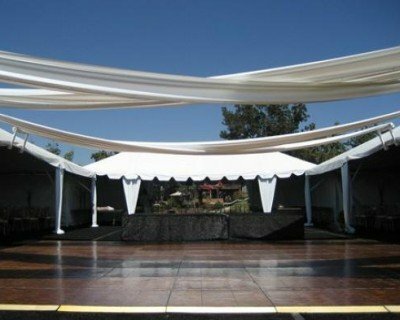 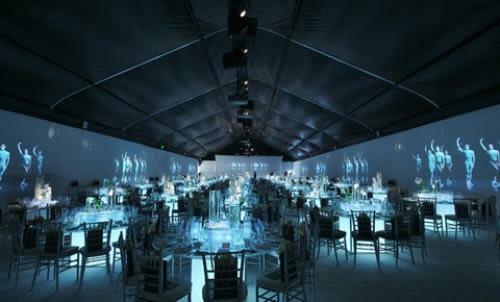 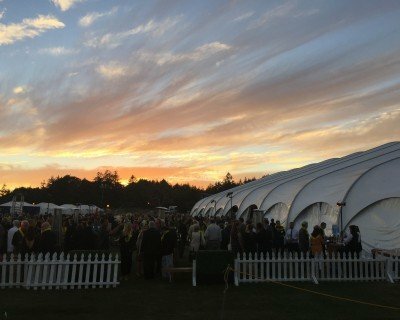 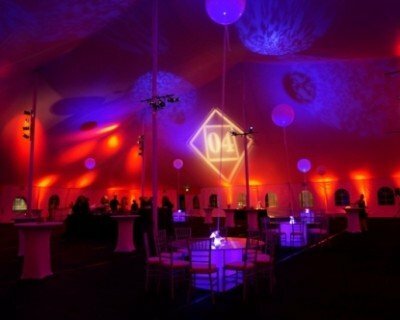 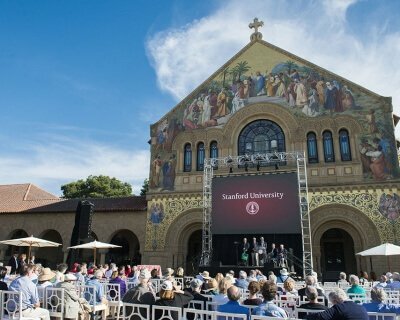 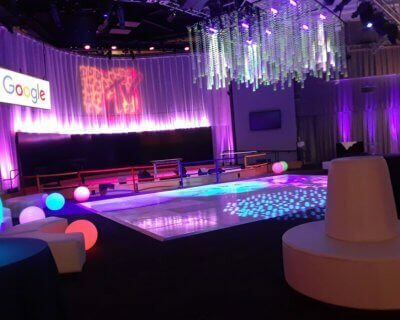 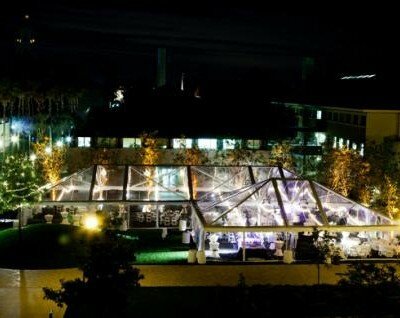 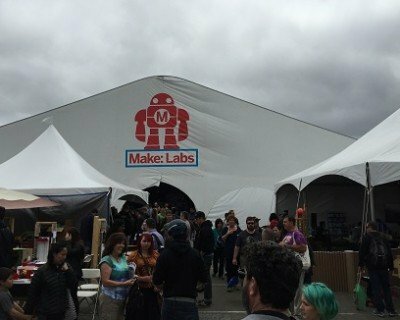 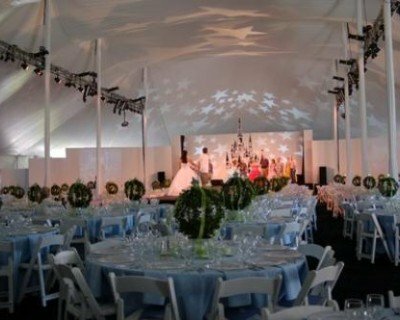 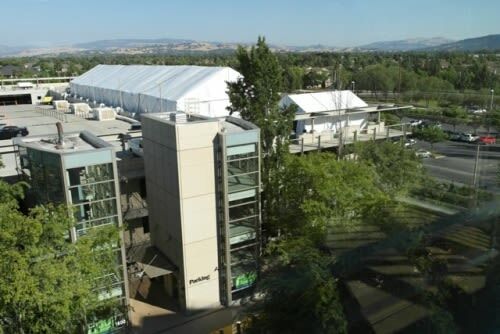 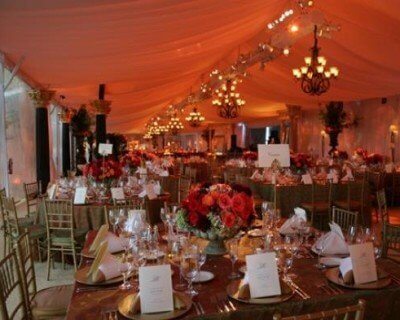 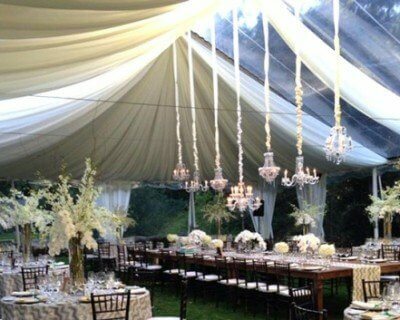 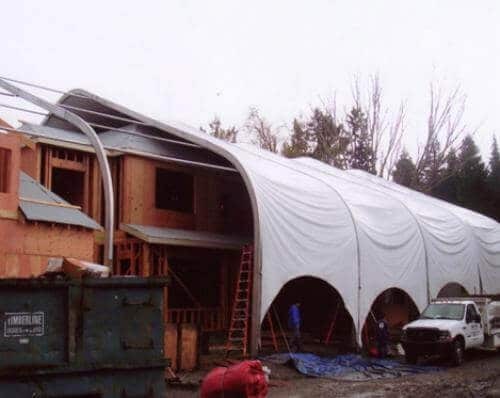 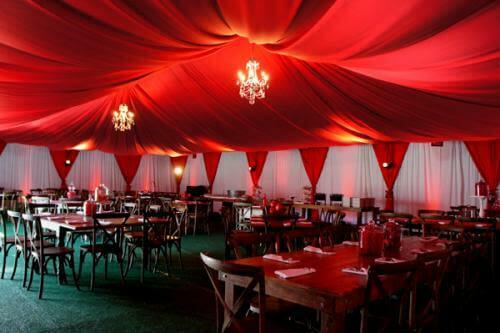 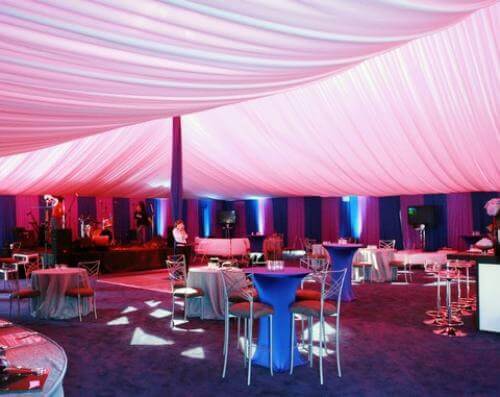 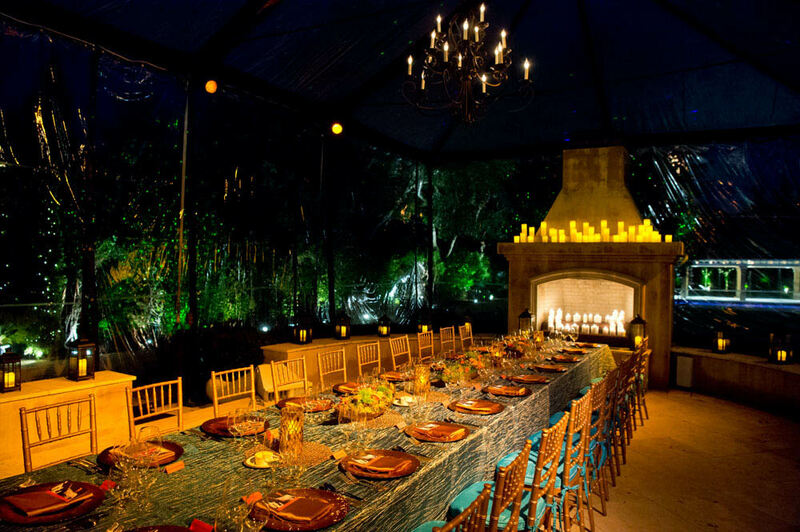 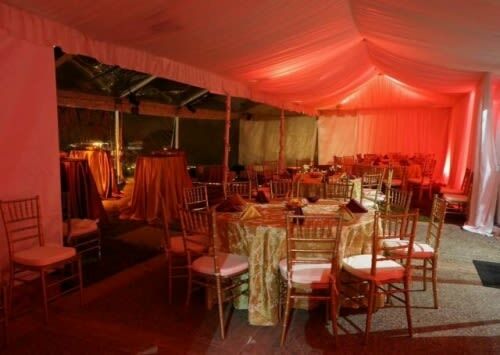 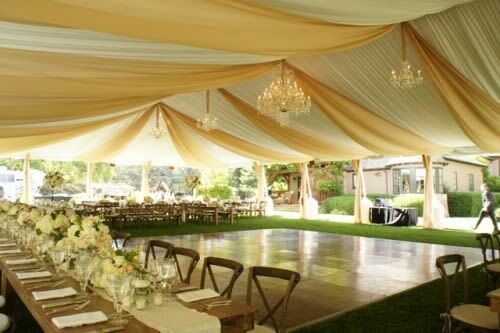 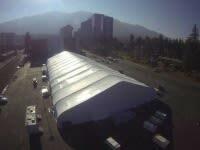 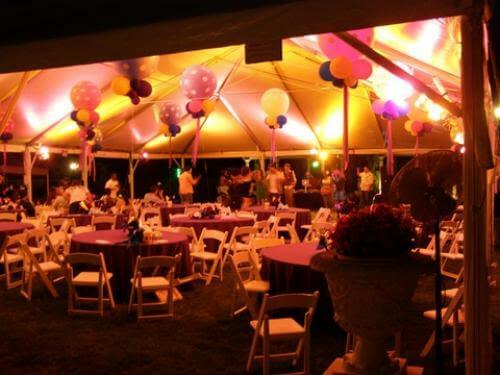 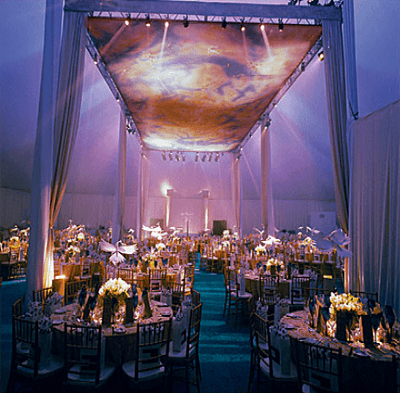 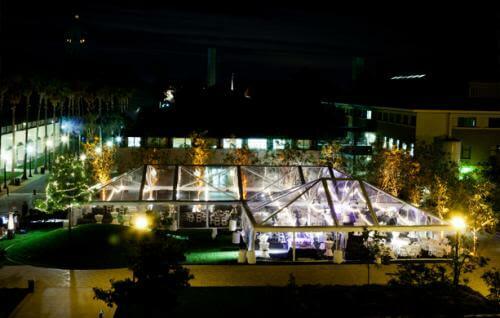 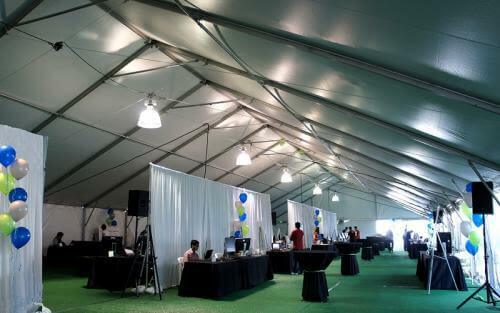 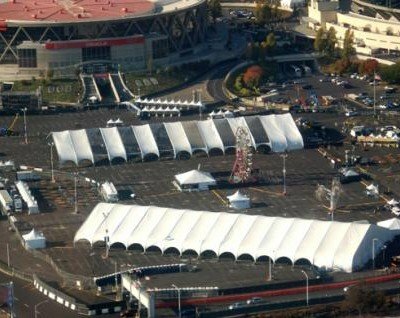 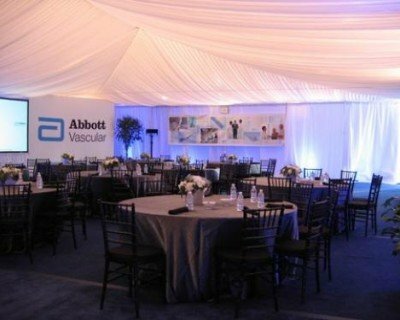 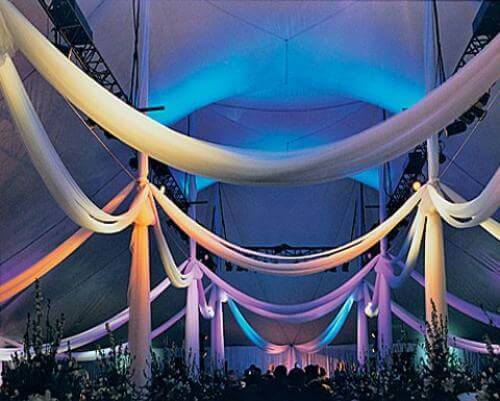 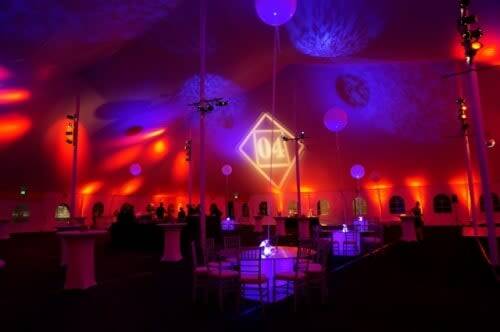 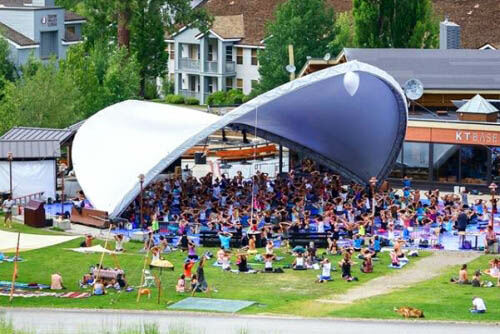 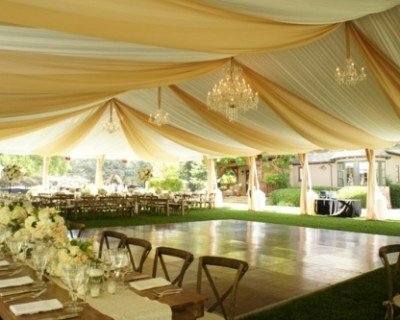 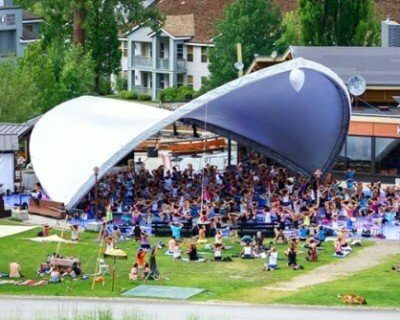 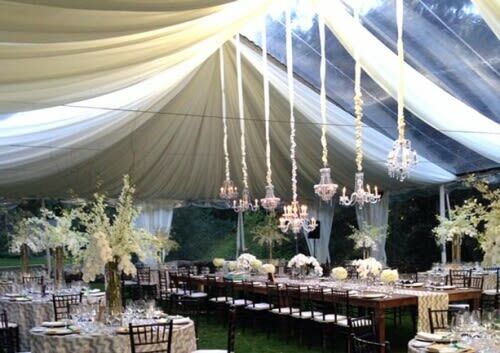 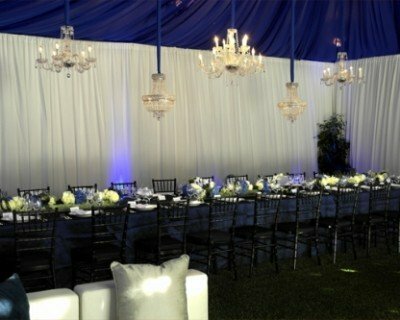 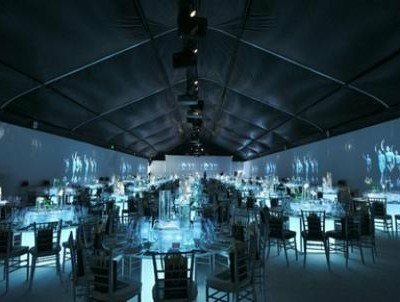 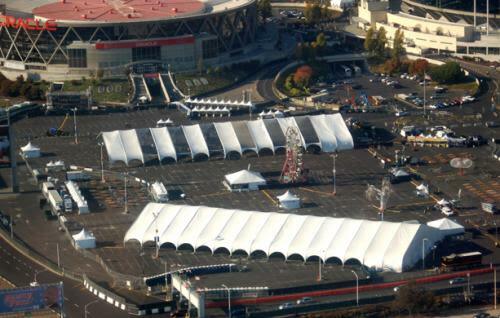 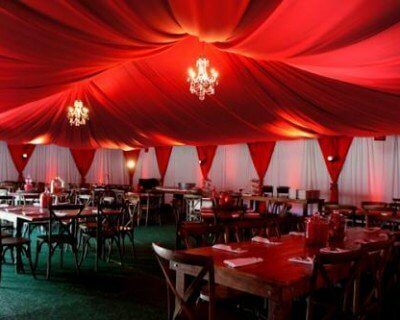 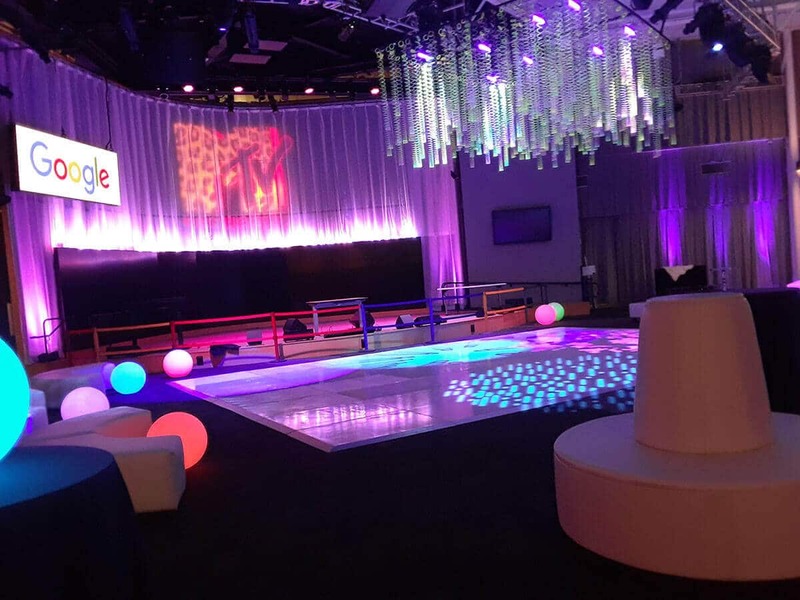 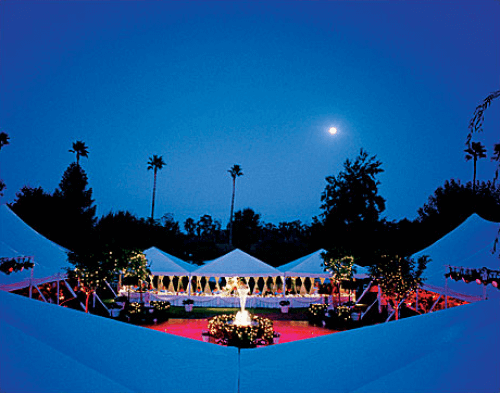 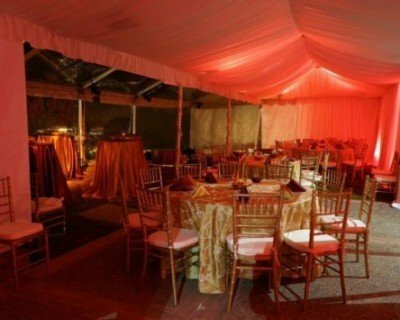 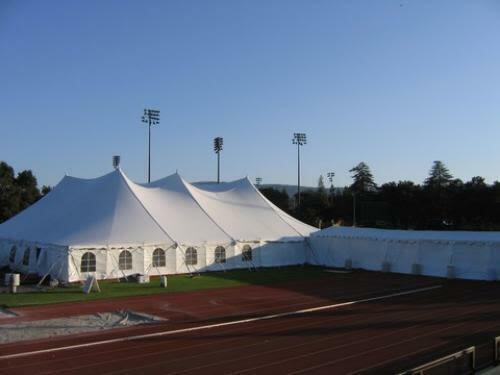 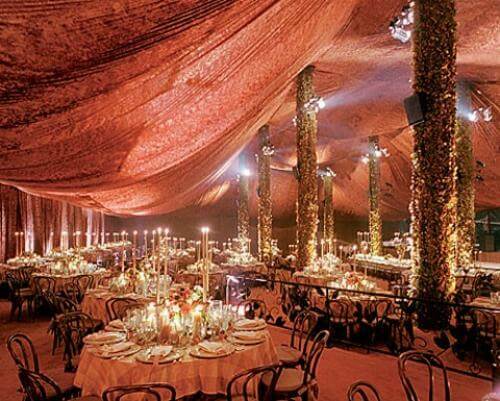 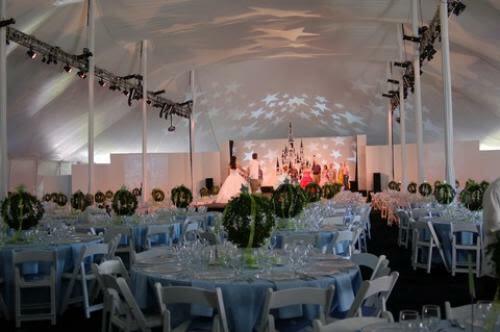 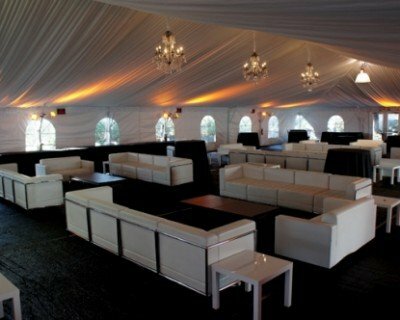 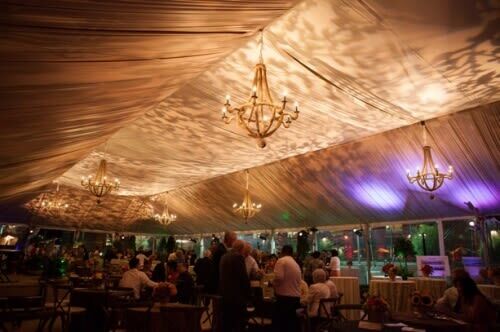 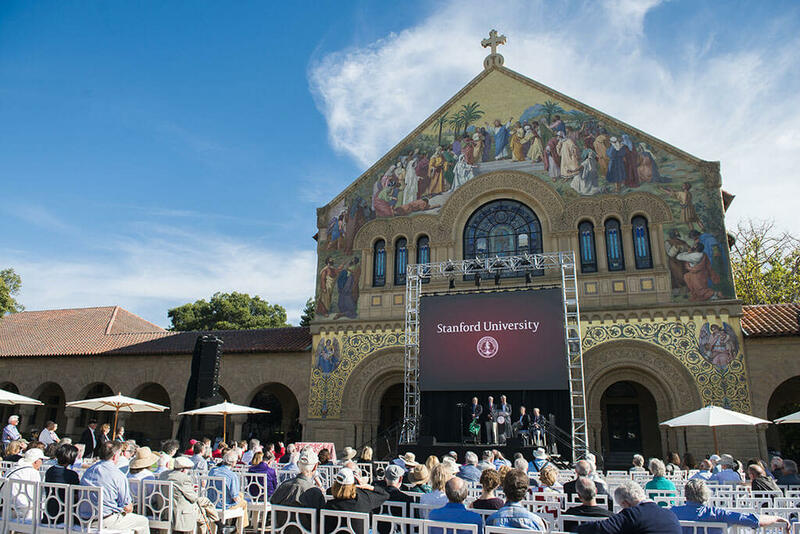 Black astroturf covered the ground as the walls and ceiling of the tent were lined with a flat, black tent liner, giving this event a classy feel. 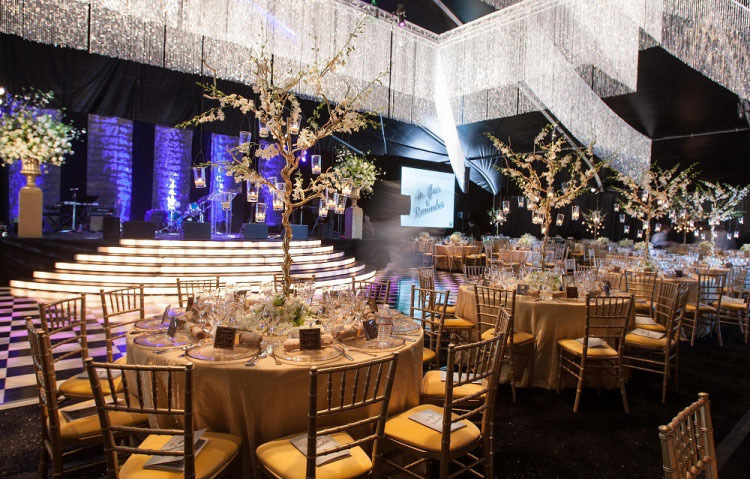 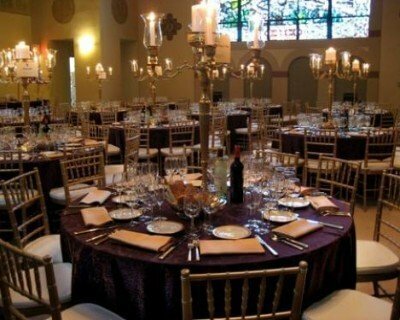 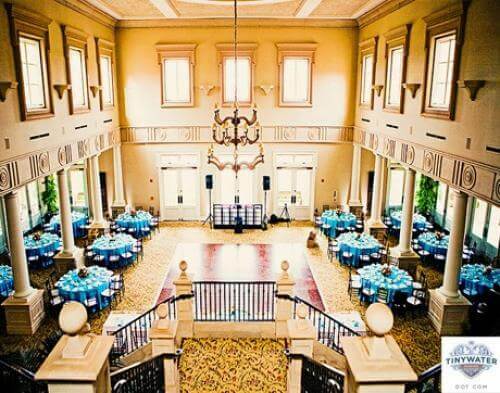 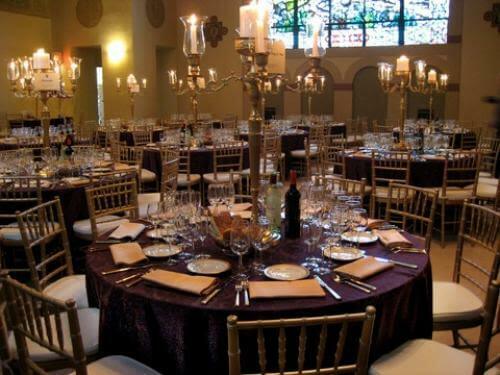 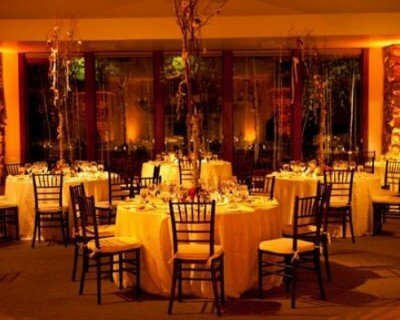 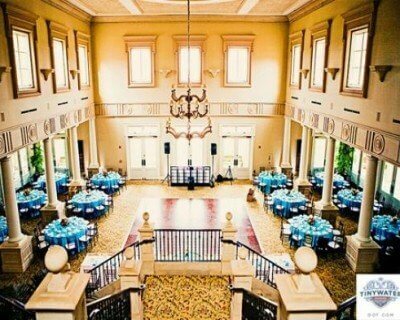 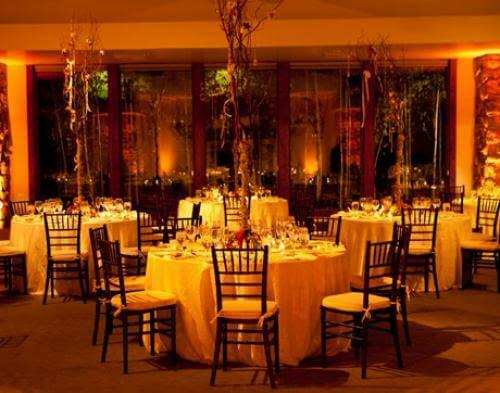 Gold furnishings and linens completed the look: Gold Chiavari chairs and cushions with Crushed Iridescent Gold linens and Avalon Gold napkins.